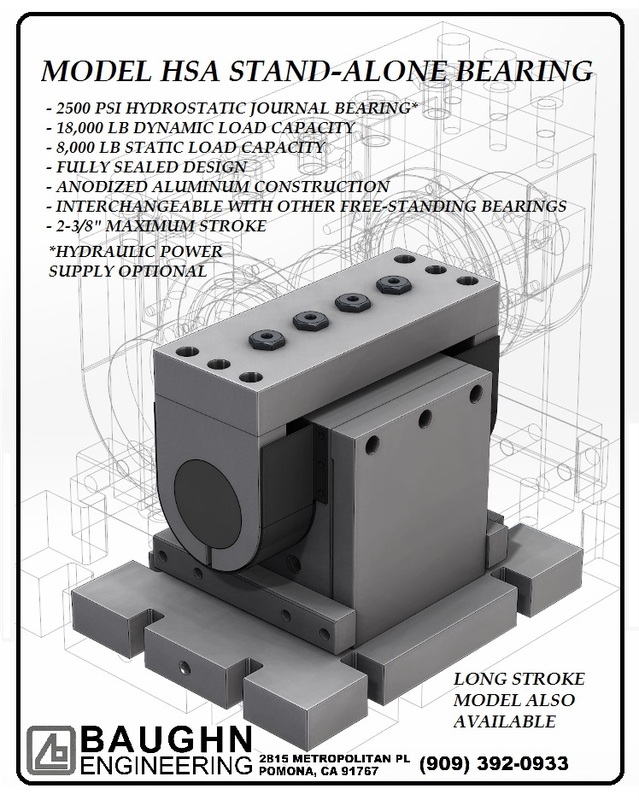 Our model HSA hydrostatic bearing is interchangeable with other free-standing type guide bearings and has an 18,000 lb dynamic load capacity and an 8,000 lb static load capacity. It requires a 2500 PSI hydraulic power supply. It can be made to order with up to a 2-3/8″ maximum stroke. 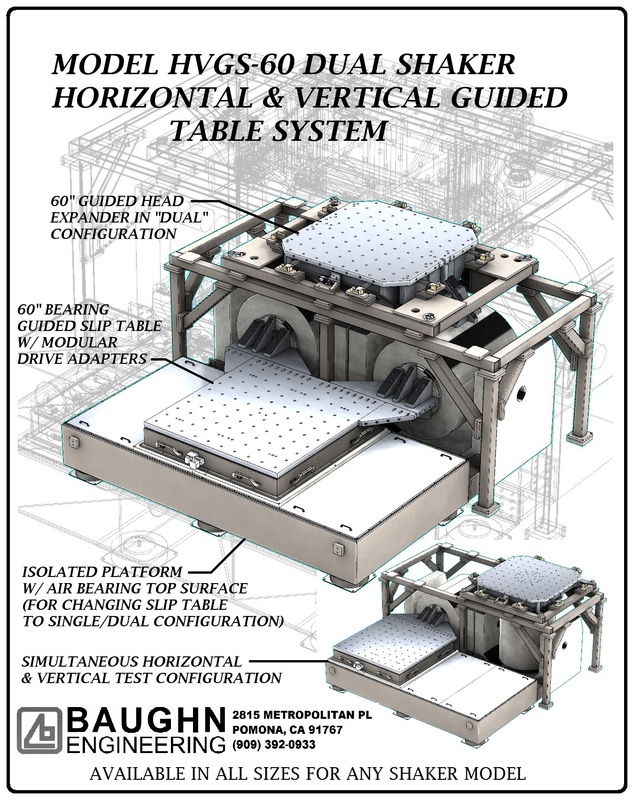 This system features both a vertical guided head expander and an isolated platform and slip table. It utilizes two independent electrodynamic shakers which can be configured for either dual in-axis vibration or independent dual-axis vibration. 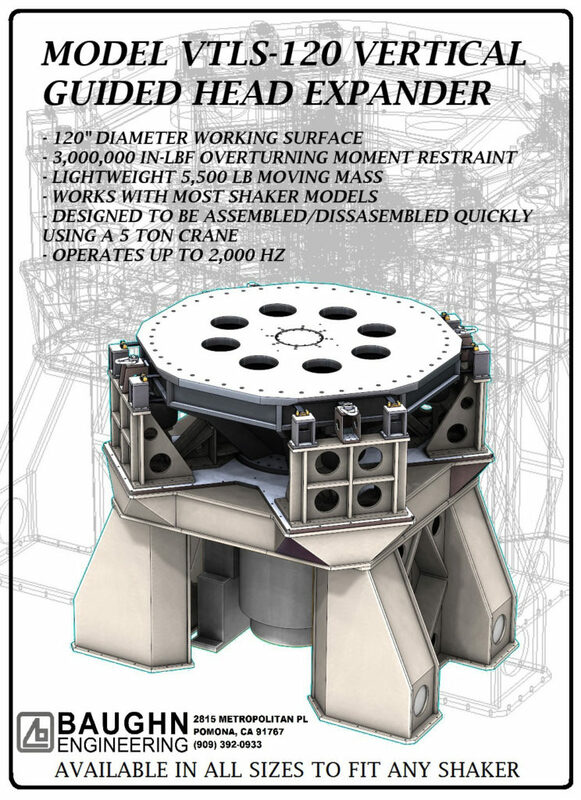 For extreme overturning moment restraint we offer our VTLS system. Capable of restraining over 3 million in-lbs of overturning force at up to 3-1/4″ of stroke.